The domestic Yak is used for travel and are valued for their milk, meat, wood and dung. The wild Yak is a seriously threatened species owing to the loss of habitat, as well as being hunted. Graze on grasses, herbs, moss and lichens - and in the winter they crunch the ice or snow for water. 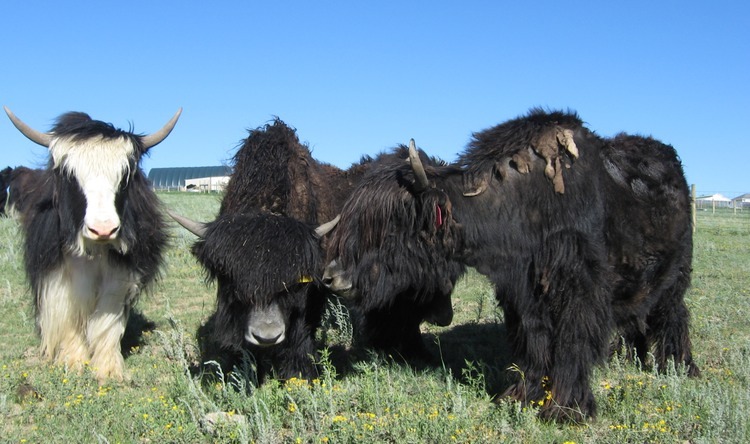 The wild Yak has a thick undercoat covered by generally dark brown or black hair, almost reaching the ground. Wild Yak live in alpine meadows on the steppes of Asia. 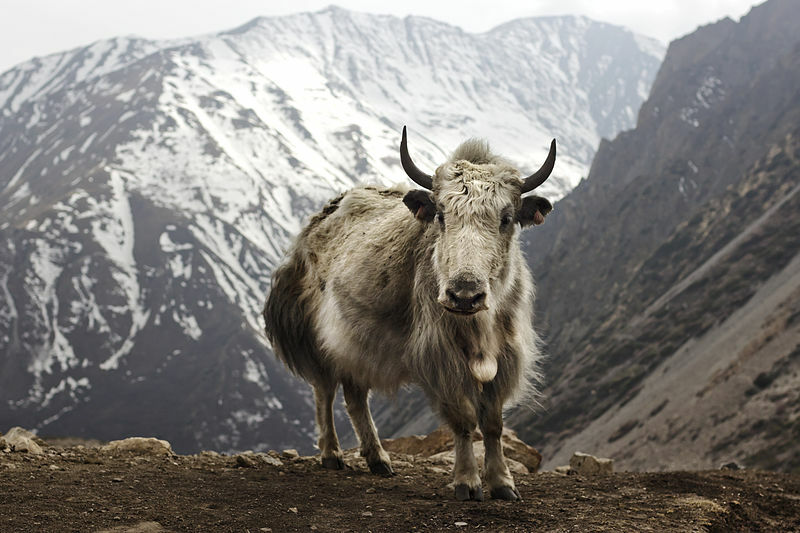 Wild Yak live at the highest level of altitude of any mammal. Male Yak are quite solitary animals, whereas the female yak like to congregate in large herds. Wild Yak can survive in temperatures as low as -40 degrees Fahrenheit.